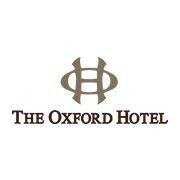 Start taking classes at The Gym at Oxford Club and Spa and other studios! Lindsey is the best instructor ever!! The class was two days ago, and I’m still feeling the workout in my Abs and Glutes! All of the exercises really challenge me and are different than anything I’d do on my own at home. Thank you, Lindsey!!! Small gym, but not crowded and just the right amount of equipment. Loved this for a quick gym sesh downtown. I did gym time here and the womens locker rooms were being renovated and the gym itself was in bad shape. Looks like theyre going to be doing some upgrades and they had construction people walking through. Very little equipment and old.